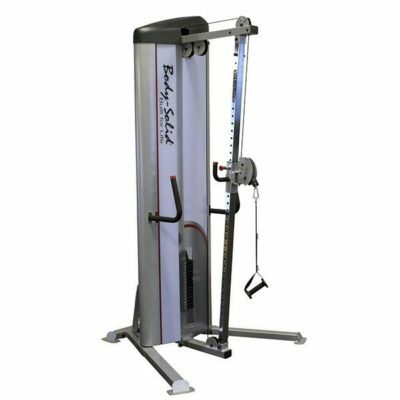 The Body-Solid Pro ClubLine Ab Bench is built to withstand the rigors of a high-traffic workout facility while also maintaining a small enough footprint for smaller studios or homes. Gas-assisted adjustments makes transitions between exercises both painless and fast. 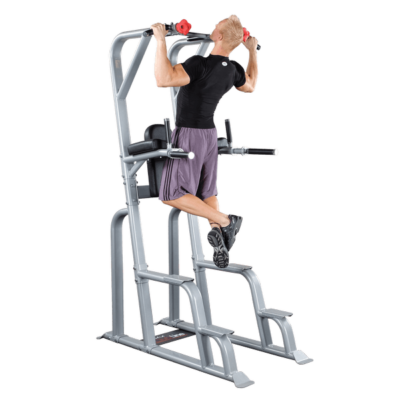 A four-point base eliminates any rocking that can occur during workouts while transport wheels and handle make moving the bench a breeze. Foam rollers also ensure your legs stay steady throughout the exercises, allowing for better development of the intended muscles. 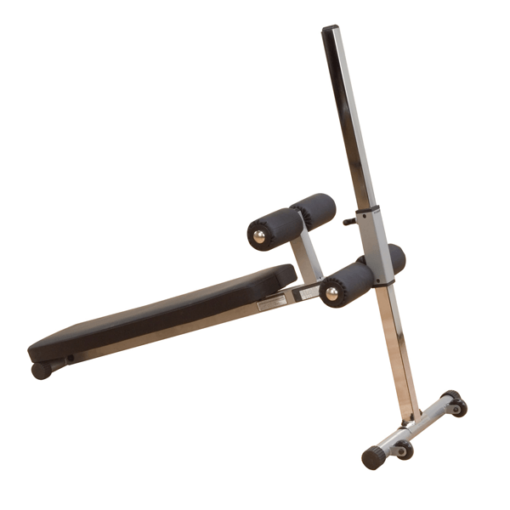 The BodySolid ProClubLine Ab Bench is totally adjustable and ideal for Ab crunches, Oblique bend, Knee raises or any of the dozens of exercises possible. The 11-gauge 2″x4″ oval frame makes the unit super-sturdy, and the durafirm pads and rollers are comfortable, but very dense underneath, so they will not bottom out when in use. As with all BodySolid products, the Body-Solid Pro ClubLine Ab Bench is guaranteed for life!